I find a cartesian join very usefull, in combination with the "like" operator, for matching tables where information from a field of table A is "buried somewhere" in a field of table B. Example: match Orders (A) to bankaccount Transactions (B). 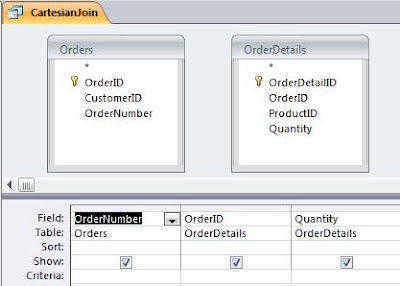 SQL: insert into OrderTransaction ... select ... from Order, Transaction where Transaction.Communication like "*" & Order.Order_Id & "*".